At their NYC luncheon event, Sprint and Motorola just made official the second of their two new Android devices: the 4.1-inch Triumph. 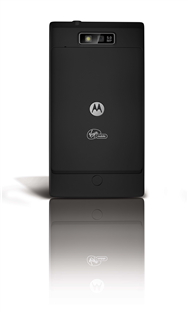 It'll be Virgin Mobile's first Motorola Android device when it launches later this summer, packing a 1GHz processor of some variety, a 5MP rear shooter in addition to a VGA front-facing camera, and an HDMI output port in its 0.4-inch thick body. Though Sprint has yet to inform us of the Android version the Triumph will be running, we do know that it will come with Virgin Mobile Live 2.0, a social networking app which will provide free access to a "critically acclaimed music stream" hosted by Abbey Braden. The app will also feature live music performance videos and "check-in" features at "special" events - hopefully that means you'll be able to use the Triumph to pay for your concert tickets. • Massive 4.1" display (800x480 WVGA) and ultra-thin at .0.4"
As a (very exciting) side note, it appears that the Triumph will be BLUR-less, just as previously rumored! We'll continue to update this post as we get more details (including images of the device); in the meantime, feel free to read through the press release below. 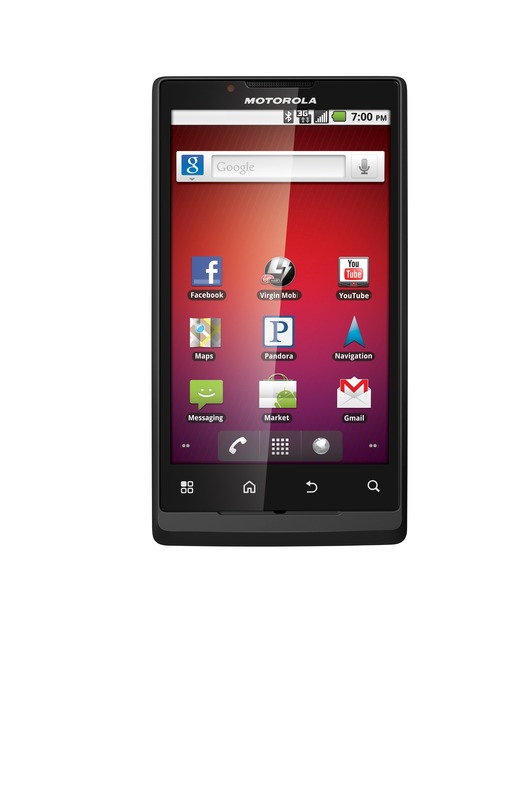 Available this summer, Motorola TRIUMPH is the first Motorola device available exclusively to Virgin Mobile USA customers. 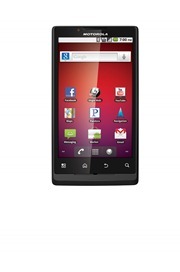 Tech savvy customers will appreciate the feature-rich Motorola TRIUMPH as one of the hottest phones with the added flexibility of a no contract plan. Motorola TRIUMPH boasts a vibrant 4.1-inch WVGA touchscreen, two cameras, a super slim design at less than 0.4 inches thick, HD-Video (720p) capture and HDMI output to allow for image sharing on your HDTV (requires HDMI cable sold separately). 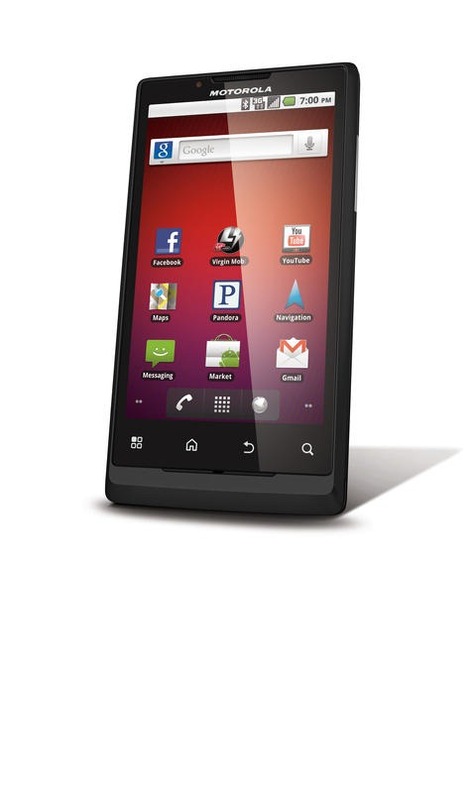 Motorola TRIUMPH will also be the first handset to come preloaded with the Virgin Mobile Live 2.0 app used to access the Virgin Mobile branded music stream. Virgin Mobile Live 2.0 is a social networking music application, which will provide Android users free access to the company's critically acclaimed music stream hosted by DJ Abbey Braden, as well as live music performance videos, and "check in" features at special events. All status updates made using the app will also sync with Facebook and Twitter. 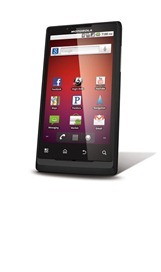 It will be available in late July atwww.virginmobileusa.com and in major retail outlets nationwide.